This year’s top ten reads were heavily skewed towards the “VET crisis” and attempts by authorities (rather belatedly in our view) to stamp out the obvious rorting, particularly in VET FEE-HELP funding, which has been truly scandalous. In fact, the number one post this year on The Scan is also the number one post of all time and by quite a bit. If you enter “rorting” in the search box in the top right hand corner, the archive runs to 5 pages, VET FEE-HELP runs to another 5 pages (obviously with some overlap) and that’s only the start of it. Quite why NSW university offers rated so highly might be explained by the fact that NSW newspapers now provide precious little coverage of the event. The seemingly generous pay arrangements of vice-chancellors certainly attracted reader interest (and good on The Oz for pulling the story together) and academic gongs remains a perennial favourite. However, the weightiest issue of the year in higher education was the late Abbott government’s deregulation package which died ignominiously in the Senate and led to then minister Christopher Pyne’s manic performance as The Fixer in an interview with David Speers on Sky News. 3 March 2015 | One of Australia’s biggest private training providers is being accused of using salespeople who target disadvantaged areas and enrol poor students with fake entrance exams. Last financial year Careers Australia billed taxpayers for almost $110 million in VET FEE-HELP loans. Former sales broker Chris Chambers confirmed that sales brokers were taking the entrance exams for potential students…. [ READ MORE ]…. 20 January 2015 | As in Victoria, the traditional January main round of university offers in NSW, through the University Admissions Centre (UAC), is decreasing in prominence in the calendar. Offers through the year and direct offers are becoming increasingly the norm. 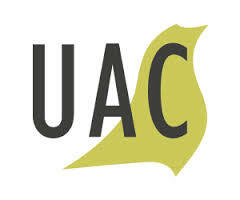 This year, universities have made 46,507 offers through UAC ‘s main round, down 4,307 (- 9%) on last year…. [ READ MORE ]…. 15 June 2015 | Australia’s highest paid vice-chancellor, Michael Spence (University of Sydney) saw his salary package increase by $120,000 last year to reach $1.3 million, an analysis of annual reports by The Australian shows. He was followed by Greg Craven from the Australian Catholic University ($1.2m)…. [ READ MORE ]…. 22 April 2015 | Private training provider Vocation has been forced to recall more than 1,000 of its qualifications, including hundreds in child care and aged care, after Victorian regulators found the courses were sub-standard. Almost 200 students who completed a Certificate III in Child Care, 250 students who completed a Certificate III in Aged Care, and 383 students with a double qualification of business studies will have to hand back their qualifications and inform their employers…. [ READ MORE ]…. 15 February 2015 | The new Victorian Labor government has announced a comprehensive, independent review of the funding of Victoria’s vocational education and training (VET) system, as presaged during the election campaign. Minister for training and skills Steve Herbert says the VET Funding Review will provide a more sustainable model for public TAFE Institutes and private training providers. Government contributions to public TAFEs fell from $733 million in 2011 to $468 million in 2014, leaving many TAFEs at risk of financial collapse…. [ READ MORE ]…. 12 February 2015 | Labor, the Greens and four independent senators (Senators Xenophon, Lambie, Muir, Rhiannon and Lazarus) have joined forces to establish another inquiry into higher education reform, to report by 17 March. The committee will consider alternatives to deregulation, likely future demand for places and implications on student loans, research infrastructure and regional provision. The inquiry will also look to investigate “the appropriateness and accuracy of government -advertising in support of higher education measures” and “other related matters”…. [ READ MORE ]…. 26 January 2015 | Six hundred and thirty five Australians have been recognised with Orders of Australia on Australia Day 2015, while a further 59 military and 130 meritorious awards were announced. Members of the tertiary education sector featured strongly in the honours list, with 81 awards, particularly in the upper categories. People associated with the tertiary sector received 4 out of the 5 Companion awards (80%), 16 out of 38 Officer awards were to people associated with the tertiary sector (42%), 46 of 156 Member awards (29.5%), for a 33% of the higher awards…. [ READ MORE ]…. 29 June 2015 | The Victorian Government is launching a major blitz to crackdown on “dodgy” training providers in order to lift standards in sector. A review by Deloitte has revealed widespread abuses, including qualifications being issued to students who have no demonstrable skills, inappropriate marketing practices, short course duration, providers claiming government funding for non-existent training delivery and poor oversight of third parties delivering training…. [ READ MORE ]…. 28 October 2015 | The Commonwealth government has released a synthesis report of the past seven reviews of higher education over the past 30 years rather than conducting a further separate review in the wake of its failed higher education reform package. Education minister Simon Birmingham told the Australian Financial Review’s Higher Education Summit said that the government is under intense time pressures to come up with a new and revitalised higher education reform package…. [ READ MORE ]…. With the Labor Party poised to form a minority government in Queensland, its promise to rescue the TAFE sector will now come into sharper Focus. Queensland VET student numbers fell 38,000 in 2013.During the election campaign, Labor leader and soon to be premier Annastacia Palaszczuk (who pronounces her surname as “Pallashay”) made a number of commitments to address the vocational educational and training system. A century ago, in November 1915, physicist Albert Einstein unveiled a theory that would change the world — general relativity. ABC science reporter Bernie Hobbs explains this mind bending theory – the development of which was driven by experiments that took place mostly in Einstein’s brain (that is, so-called “thought experiments”). Research shows disorganised people are geniuses. The Mercedes-Benz F 015 Luxury in Motion research vehicle is offering a vision of autonomous driving in the future. The luxury saloon with total connectivity gives a preview of how the self-driving car of the future could become a platform for communication and interaction. A child standing near police controlling a rush of refugees into Macedonia. So much insightful, funny and cutting commentary comes from Australia’s great cartoonists. Many people miss out. Inspired by Barrie Cassidy’s Insiders Talking Pictures, this Facebook page – Political Cartoons Australia – has a selection of the year’s best cartoons. 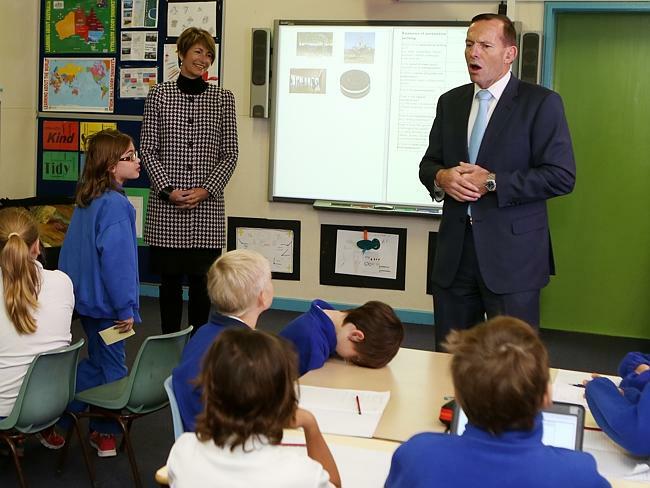 News Corp photographer Brad Hunter joined Tony Abbott’s media staff in April, raising concerns that news photographers will gain less direct access to the prime minister of the day. The kid couldn’t take it any longer. The theme of the 2016 conference is Transforming Australia: universities and their communities. Chakara at 179 Acland St, St Kilda, and 387 Hampton St, Hampton has an extensive range of quality and unusual gift items. You can order online through Chakra’s Facebook page.